Welcome to Famalicão! Discovering Vila Nova de Famalicão is contacting with one of the most important cities of Portugal. With a huge national and international well-known industry, as well as a social, cultural and sportive great dynamic, this city is breathing trust, proud and initiative. A land of culture and knowledge, Famalicão is a city of the present, but, mainly, a city of the future, that is highlighted by social, institutional and business dynamism. 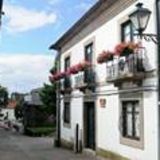 Here, you’ll find places with cultural interest, such as Camilo House-Museum, that is part of the 13 museum units network of the municipality, and also the Casa das Artes [House of Arts]. There are also the big relief initiatives such as Carnival, “Antoninas” Festival (Saint Anthony’s Celebrations) and the Handicraft and Food Fair. However, it´s the high energy of these events that throws Famalicão as a young, ambitious, daring and innovative city. This Municipal Booklet, particularly oriented to tourism, was carefully made for those who don’t know the city and would like to visit us. Over this 60 pages, it will be possible to find out a territory with a rich and diversified social and cultural tradition, and a community with a very strong personality. A fantastic land to live, to work, to invest and to visit. 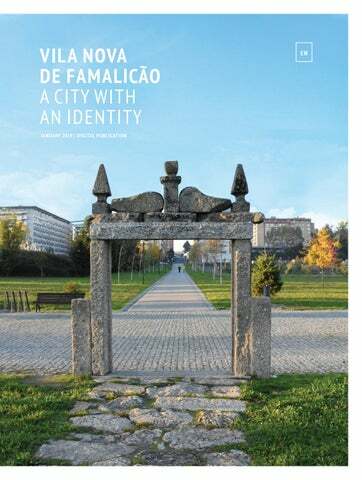 Welcome to Vila Nova de Famalicão, a city with an identity! Here we have more than three thousand surrealism works made by authors as Mário Cesariny and Artur Cruzeiro Seixas, within a universe of around 130 artists. These works are waiting for your visit. But there is even more and more to discover in this emblematic building of the Cupertino de Miranda Foundation. Let yourself be surprised by a great wealth collection, composed of about a hundred antique and classic cars. Be part of this cult! You will find here in Famalicão the deep feelings of love and passion which seduced the writer Camilo Castelo Branco. The majestic Barão da Trovisqueira’s Mansion, where Bernardino Machado Museum is installed, hosts the exhibition of the memories and of the political and social action of this prominent man who was President of the Portuguese Republic, as well as pedagogue, statesman and a wellknown scientist. P. 18 Railway National Museum Come abord of the historical locomotives which went through all over the country during the first half of the 20th century. Don’t miss the call! Which are the sewing threads used to weave time? Come to discover the greatest history about the textile industry of Vale do Ave, in the front line of the spinning and weaving machines! Come to explore Vila Nova de Famalicão, a very well located city between the mountains and the sea, which is remarkable for its cultural dynamism and rich heritage, as well as for the beauty and charm of its green landscape. The most popular and genuine “entrudo”(shrovetide) of the country is here in Famalicão… You won’t miss, so put it in the agenda. An honorable tribute to all former combatants of the Portuguese colonial war. On the most popular parties of the city, you will find lots of animation proposals and a great devotion to Saint Anthony. For those who like to be in the contemporary arts and culture forefront, the Ala da Frente Gallery is a place of compulsory visit! The wealthy of the national handicraft – a unique and genuine heritage which we need to protect more and more – is shown in Famalicão city every year since the early days of September, in the bigger Handicraft and Food Fair of Minho region. Visit this touristic-cultural event of national impact! Come to visit the heritage of the city of Famalicão and let yourself be enchanted for these sacred spaces of the romanic architecture, which are really ex-libris of our collective history. Famalicão is also a land of many flavours. That’s an invitation to take a sit on the table and taste! This House of all Arts offers a very contemporary and eclectic programming, with a charismatic and quality space, attracting and increasing such a greater number of people. This place is also yours, come and enjoy it! The sporting events that really excite people from Famalicão are here! Put it in your agenda and come to participate! Get lost in the corners of Vila Nova de Famalicão city and, if you need some suggestions, please contact us! Here we can breath the genuine environment by the time of Camilo Camilo Castelo Branco (1825-1890) was one of the most brilliant and striking Portuguese literature writers of all time and perhaps the biggest figure of the romantic movement. The author of “Amor de Perdição” had a very troubled life, which was an inspiration to his books. Increasingly, Vila Nova de Famalicão is the land of Camilo Castelo Branco and the references to his life and work are everywhere. Camilo Castelo Branco (1825-1890) settled down on the yellow house in S. Miguel de Seide during the winter of 1863. There, he lived with Ana Plácido for 26 years, until the fateful day of June 1st in 1890. He wrote, also there, some of the most beautiful pages of the Portuguese literature, on an intense process of literary creation and due to his and others misfortune, portraying the most remarkable and genuine traits of the nineteenth-century in Portugal and of the Portuguese soul of all times. A visit to Seide S. Miguel Camilo’s bust In March 1925, during the celebration of the 1st century of the birth of Camilo Castelo Branco, the “Oporto Trade” offered to the City Council of Famalicão a bronze bust of the novelist, made by Henrique Araújo Moreira. Nuno’s chalet (Camilo’s son) Camilo lived his last years of life in the stolen waters of the old building, that is today the head office of the Parishes Union of Seide. The church The church is just in front of the house where Camilo lived. That’s why there is really a lot of histories written by Camilo which were inspired by the temple. The family It is in “S. Miguel de Seide”, in a truly environment influenced by Camilo, where we can find his family members remains, namely his wife Ana Augusta Plácido and his son Nuno Plácido Castelo Branco, among others. When two geniuses get together… Here the genius of the writer Camilo joins the genius of the architect Siza Vieira, and the work speaks for itself. The Studies’ Centre about Camilo, inaugurated in 2005, completes the didactic and pedagogical action of the Camilo’s House of making yield the institution heritage, on the bibliographic, handwritten documentation, most of it autograph, iconography and plastic arts fields. The Portuguese surrealism capital is in Vila Nova de Famalicão. Here we have more than three thousand surrealism works from more than 130 artists. Among them, we highlight Carlos Calvet, Carlos Eurico da Costa, Cruzeiro Seixas, Eurico Gonçalves, Júlio dos Reis Pereira, Manuel D’Assumpção, Mário Botas, Mário Cesariny, Mario Henrique Leiria, Pedro Oom, Risques Pereira, and others. A remarkable reference of the modern and contemporary arts The Portuguese Surrealism Centre project was born from the Cupertino de Miranda Foundation, located on the city centre, which has got a large set of important surrealism visual arts, with various techniques, like painting, drawing, sculpture, collage or objects. With all of these works it was built a collection that has been developing itself, with a huge own character as a remarkable historical importance. You can get here by train, by car or even by bike! The Railway National Museum in Lousado, in the city of Vila Nova de Famalicão, is really close to the train station, allowing visitors to experience a great historical link between the past and the present. Here you will find true treasures of the national railways and you’ll have the opportunity of discovering the history of the railway in Portugal, through a legacy of more than 100 years. The railway memory The National Railway Museum in Lousado was created in the original facilities of GuimarĂŁes Portuguese Railway Company (1883/1927). It reveals the first half of the 20th century railways history, particularly about compositions and locomotives. Opened to the public in 2003, this museum has in its exhibition several relics and a vast material associated with the railway world. This material built between 1875 and 1965 comes from eight companies, which was acquired in six countries to fifteen builders. It takes part in the European Route of Industrial Heritage (ERIH) which is the biggest European disclosure and promotion network of Industrial Tourism. This network adds and spreads more than 1300 places and industrial museums in 13 European countries. Come to visit by train, by car or even by bicycle! The National Railway Museum in Lousado is of required visit. The Textile Industry Museum of the River Ave Basin was founded in 1987, as a research project focused on the industrial archaeology. Besides presenting a synthesis of the historical evolution of the industrialization on the territory, it exhibits a magnificent collection of historical textile working machines, from wool spinning to the weaving mil, among others. The Textile genetics The permanent exhibition presents the evolution of the River Ave Basin industrialization process by highlighting the main features, such as the transition from the craft industry to the manufacturing one, the emergence of the first modern industries, the first energetic solutions used, the landscape changes and the environmental consequences, the union activity and the employee fights, among so many other aspects that will enrich the knowledge of the visitors, about industry changes in this region during the last 150 years. The historical machinery collection is a way to knowledge the different phases of the textile industry productive process. Located in the Northwest of Portugal, the River Ave Basin is a truly marked area by the cotton textile industry. Also, the first modern textile industry was founded in this area in 1845. Since then, the textile industry began to be the main economic activity - mainly in the counties of Fafe, Guimarães, Vila Nova de Famalicão and Santo Tirso – currently it is still the most important textile region from Portugal. The River Ave Basin Textile Industry Museum has on its own mission to investigate, preserve, document, interpret, value and spread every aspects related to the industrialization process, always protecting the historical memory. The classic and antique cars cult Some of the treasures from the Automobile Museum’s assets, in Vila Nova de Famalicão, include an unique micro car from VEL and the one of two rare specimens from Rolls Royce. But there are other treasures, such as a specimen from the world very first mass-produced car, the T model from the Ford. The touristic-cultural structure of the city – inaugurated in September 2013, in Ribeirão, in a three thousand square meters area - is a mandatory crossing point for the collectors and admirers of the automobile industry. It has a great wealth collection, composed of about a hundred antique cars and motorbikes, and follows up the automobile design evolution over the 20th century. It is associated with a School of Automobile Restoration, an innovative professional qualification project which joins the museum, the Vocational School CIOR and a School of Road Education directed to teaching the youngsters. The Museum of the President Bernardino Machado – who was president of the Portuguese Republic twice and one of the most important representatives of the 1st Republic – was from Famalicão by adoption. In fact, he was born in Rio de Janeiro, in Brazil, but he came with his family to Portugal, setting in Vila Nova de Famalicão, with almost nine years old. The majestic Barão da Trovisqueira’s Mansion, where Bernardino Machado Museum is installed, dignifies the memory of this prominent statesman and gives the visitor the chance to contacting with the beauty of the Brazilian building of the second half of the XIXth century. Besides the permanent exhibition which portraits the several facets of Bernardino Machado as a Man, a Pedagogue, a Scientist and a Politician, the museum also provides to the public one of the wealthier and more significant collections for the study of the 1st Republic history. Welcoming land People from Vila Nova de Famalicão are truly welcoming, generous and affectionate, as the Minho’s people usually are. At any time of the year, Vila Nova de Famalicão has always something to offer and to last in the memory of whoever visits the city. There are cultural infrastructures of great relevance and a wide range of great projection initiatives. The city, at the environmental level, offers a broad number of gardens and green spaces well cared that are a synonym of quality of life, providing an excellent balm for both mental and psychological health. They are multifunctional spaces opened to leisure, culture, sports and to promote the contact with nature. Memories and Histories A fabulous collection of letters from the war godmothers, company diaries, personal diaries, stories and confidential processes, art objects, photos, bibliographies, religious objects, uniforms and weaponry. The Colonial War Museum, in Vila Nova de FamalicĂŁo, is full of information for the visitors to feed their curiosity. Among other activities, the visitor is invited to see an exhibition and rebuild the Portuguese fighter trajectory in the Colonial War, which took place between 1961 and 1974 in the former overseas provinces of Angola, Guinea-Bissau and Mozambique. Sports, Culture and ecotourism A visit to Devesaâ&#x20AC;&#x2122;s Park can be a real mix of sensations and experiences. Besides the sports activity provided by the park, a simple and relaxing tour gives the visitor the chance to contemplate a great diversity of animal species (fauna), namely birds, mammals and reptiles, amphibians, fishes, invertebrates. This park is a permanent invitation to enjoy nature on its best in Vila Nova de FamalicĂŁo city. The park, that is called “the green lung” of the city, was opened in 2012. With 23 hectares of area, it is crossed by a river and a lake, presenting itself as the perfect refuge for multiple animal species. With an outdoor auditorium for shows and concerts as well as an exhibition area installed in the House of the Territory, which holds cultural and historical spaces that show the visitors marks from the past, this park also surprises for its cultural model. It is possible to watch art works through the rebuilding of dead trees, but also through historical and archaeological landmarks. In the last years, Vila Nova de Famalicão has been the meeting point for thousands of revellers from the North of Portugal, who choose this city to experience a typically popular Carnival. Defined by the free and joyful participation of the people, the Carnival in Vila Nova de Famalicão lasts all night long. It is a compulsory stop point for those who enjoy the Carnival. Here you simply don’t watch the parade, you take active part on it. We make the party on the streets When June is coming we feel the smell of summer in the air, and that’s when the traditional parties in honour of the Popular Saints begin, throughout the country. Santo António, largely venerated in Vila Nova de Famalicão city, is treated like the true patron of the city, giving so that reason for the local festivities: the “Antoninas”. There are several days of partying, with moments of great tradition and revivalism as the marches, the bread distribution, the religious procession, the raids and the folklore. The nights are animated within parties with music and dance, by hearing popular songs, always with big names on the programme. Being well ornate and very colorful, all the streets are filled with the smell of grilled sardines and many balloons, as well as we can feel everywhere a great aroma of basils that is always accompanied by a popular poetry related to Santo AntĂłnio. Handicraft Fair, the powerful art of hands Soon, in the early days of September, by the end of summer holidays, the Handicraft and Food Fair takes place in Vila Nova de FamalicĂŁo city. Over a week, through more than a hundred of exhibitors it is possible to watch the work done in real time by the artisans who reveal the secrets of the manual ancestral arts, as the basket-weaving, the clay, the clog-making, the metalworking, the weaving, the jewellery, the woodwork, among others. That is an important touristim-cultural event being growing more and more each year. In addition to the artisans and live work, the Fair schedule is enriched with a daily, engaging and transversal animation programme. At the same time, it takes place the Gastronomy Fair where it is possible to discover the most genuine flavours of Portuguese regional cuisine and national sweets. Typical food of this region of Minho After the completely surprising discovery of this city identity and essence, by going through the green landscapes, seeking bridges, monasteries and old stately houses which really can feed the soul and the spirit, there is nothing better than a fearless and risk-free dive into the flavours of the typical food from this region. Take a sit on the table and delight yourself with the rich and genuine food proposals composed by the traditional products of the region, prepared by the hands of whom knows very well how to preserve and respect this authentic cultural heritage which makes us so proud. Travel through our food origins and comfort yourself with our codfish, our famous “papas de sarrabulho” with “rojões” (different parts of pork meat harmonization), the Portuguese stew and the roasted lamb. Also, delight yourself with the traditional sweets which come from the ancient convents and taste the famous pudding and the remarkable “pão de ló” (sweet cake). Joining this authentic and genuine gastronomy from this region, there is a new generation of restaurants that look at the traditions and the origins to reinvent flavours and scents, by exploring the new concepts of the contemporary kitchen. A land of flavours, an invitation to take a sit on the table! House of Arts a place that is yours The Casa das Artes (House of Arts) in Vila Nova de Famalicão city is a big cultural reference in the region and in the country. Built with the purpose of being the house of all the arts, this space combines a contemporary and eclectic programme, with a charismatic and quality space, attracting and increasing such a greater number of people. Composed by a Big Auditorium with capacity for half a thousand people, a Small Auditorium for a hundred and fifty people, a Music Hall for intimate shows and an awesome Foyer for exhibitions, the Casa das Artes (House of Arts) hosts here big show names, being at national and international levels. Ala da Frente exhibitions gallery The Ala da Frente Gallery is the most recent cultural spot of the city of Vila Nova de Famalicão. Its name is due to the fact that the room is located on the main facade of the beautiful building where the Bernardino Machado Museum is installed. Since the very beginning, its main purpose is to show contemporary art exhibitions, on a programing line of access to the core of artists who have consolidated, innovative and coherent works. It’s a place for those who like to be in the culture forefront. Over its 50 square meters reserved to art, on the Barão da Trovisqueira’s Mansion, we already had the opportunity to see artists like Jorge Molder, Rui Chafes, João Queiroz, José Pedro Croft and Pedro Cabrita Reis, who had their works here exposed. The Romanic Route, in Vale do Ave, invites you to board on an inspiring journey throughout some places full of history, near unique monasteries, churches, chapels, memorials and bridges. The Romanic style is an architectonic style, which emerges in Portugal at the late 11th century, in the context of a wider phenomenon of the culture europeanization. As a predominantly religious architecture, it is related to the diocesan and parish ecclesiastical organization and with the monasteries of various monastic orders, founded or reconstructed on the 12th and 13th centuries. São Tiago de Antas Church From a religious Romanic architecture of transition to the gothic style, the São Tiago de Antas Church was built in the mid 13th and 14th centuries. Being a church of a simple floor plan with only one nave and a square main chapel, its decoration is overdue and from local inspiration. Monestary Church São Salvador de Arnoso In Arnoso Santa Eulália, the Romanic style of the church, heavily changed by the deep interventions done during the 40’s by the General Direction of National Buildings and Monuments, is a national monument. From the ornamental point of view, the axial portal as well as on the side door of the nave, a curious tympanum inscription “ERA MCLXXXXIII” (in the Christ Era, year of 1156), date of the church consecration, deserves attention. The highlights also include the unique frescos from the 15th century. In the surrounding area of the building, there is a river beach in the Guizande river banks. Lagoncinha Bridge The Lagoncinha Bridge, located in the south of the city, in Lousado, above the River Ave, is a remarkable example of a Romanic bridge, both in terms of engineering and history, and a first plan asset element at local level and even in all the country. It is a bridge with an horizontal deck, composed of two ramps above 6 unequal arches, some with round arches and others with ogee arches. It has consistently foothills with triangular and quadrangular breakwaters. The walls of the bridge are made of granite stonework and the pavement is covered with slabs, in granite too. Monastery Church Santa Maria de Landim The meeting with the history of Famalicão don’t allow us to forget the Landim Monastery, one of the oldest and most influent religious and social structure by that time, before the portuguese sovereignty foundation. The old monastery was founded by the Benedictine but it had a huge part of its history connected with the Regular Canons of Saint Augustin. Today, the monastery is of private property but the church follows to be the religious head office of the comunity. It preserves as well as it traces from the passed Romanic and Gothic as well as it is an excellent place for a long visit to the most monumental and religious heritage from the city of Vila Nova de Famalicão. Sports events All over the year, Vila Nova de Famalicão is a stage of several sport events, truly amazing and diversified, which atract thousands of people to the city, as for participate or simply to watch and vibrate with the athletes. These are competitive events, although they are open to the comunity in its overwhelming majority. The real sports party happens in different ways over the year in Vila Nova de Famalicão.